Has two welded 1/2" tabs. 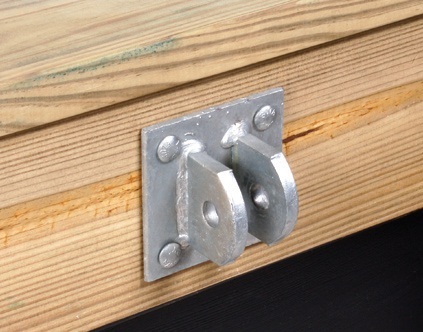 Bolts to side of dock to attach fingers and ramps. Measures 5" L x 5" H. Commercial grade.